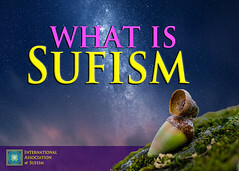 The International Association of Sufism (IAS), a California non-profit, humanitarian organization and a United Nations NGO/DPI, was founded in 1983 to create and provide a global forum for a continuing dialogue amongst Sufis, scholars, interfaith leaders, poets and artists from diverse cultures, nations and schools; to bring together Sufi principles and scientific understanding; and to promote equality and human rights. SWO Women’s Wisdom: Women in Action Luncheon & Presentation Saturday, March 2, 2019; more information here. Classes with a Sufi Master: Love and Wisdom through the Qur’an, the Bible and Words of Wisdom. Classes start March 17. Class information and registration is available here. The 2019 Sacred Music Festival will be held on May 3; more information is available here. The Interplay of Psychology and Spirituality will be held on July 27, 2019. Information on this event and registration is available here. IAS events can be found on our events calendar page here.